On April 16, 2019 at approximately 1:58 p.m., a non-student was reported to have been at University Park Campus standing outside of a classroom looking at her former professor. View more information about this recent alert. Our team is dedicated to the mission of maintaining a safe and secure environment where education can thrive. We believe policing is as much about education as it is enforcement. Our goal is to add to the overall value of the Lone Star College experience. Let me know how we’re doing. I am available by email at LSC-Police@lonestar.edu or follow me on Twitter @LSCtopcop. Campus Safety is a team effort. Let’s work together to keep #LSCsafe. The LSC Police Department provides a full range of community services, including safety escorts after dark, motorist assists and community education events. If you have any questions or concerns, please approach any of our uniformed police officers or security guards that you see patrolling our campuses on foot, on bicycles, in golf carts, or in marked police cars. They will be happy to talk with you, and will either provide you the information you need, or will find someone who can help you. 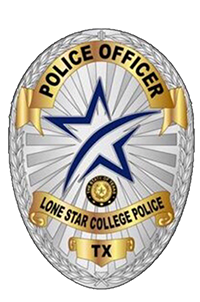 We want your experience with Lone Star College to be positive, pleasant and above all, safe. Please do not hesitate to contact us if we can be of assistance. We are here to serve the needs of our community and actively solicit input as to our performance. Please e-mail any Campus Captain or the Chief of Police to share your input. The Police Department believes in teaching the community to engage in their own safety. Our goal is to make every member of the Lone Star Community a crime prevention operative. To this end, the Police Department hosts monthly safety education sessions covering topics such as alcohol abuse, domestic violence, self-defense, sexual assault prevention, theft prevention and general crime prevention. A secure environment is made possible through community involvement in crime prevention. The purpose of community crime prevention is simple: to help you recognize your own vulnerability to crime and reduce your risk through preventive action and cooperation with the police. A high percentage of campus crimes are incidents of opportunity. Often, we contribute to the crime rate by needlessly placing our property or ourselves at risk. The lifeblood of criminal activity contains three elements, called the Crime Triangle. Desire of a criminal to commit a crime. Target of the criminal's desire. Opportunity for the crime to be committed. We are limited in our ability to impact the first two elements. However, removing or reducing the criminal’s Opportunity is the good defense. Like a fire feeding on oxygen, crime feeds on opportunity. Prevention efforts can be effective in reducing these opportunities. You play an essential role in crime prevention. Be cautious, careful, and alert to your own safety. Protect your possessions and college property. Keep property locked up if possible. Lock your office door when leaving and do not leave valuables unattended. Walk to your vehicle with another person or in a group. Use common sense and always stay alert. Trust your self-preservation instincts. And always remember to call the police to report suspicious persons or activity as soon as it is safe for you to do so. Awareness is the key to your safety!